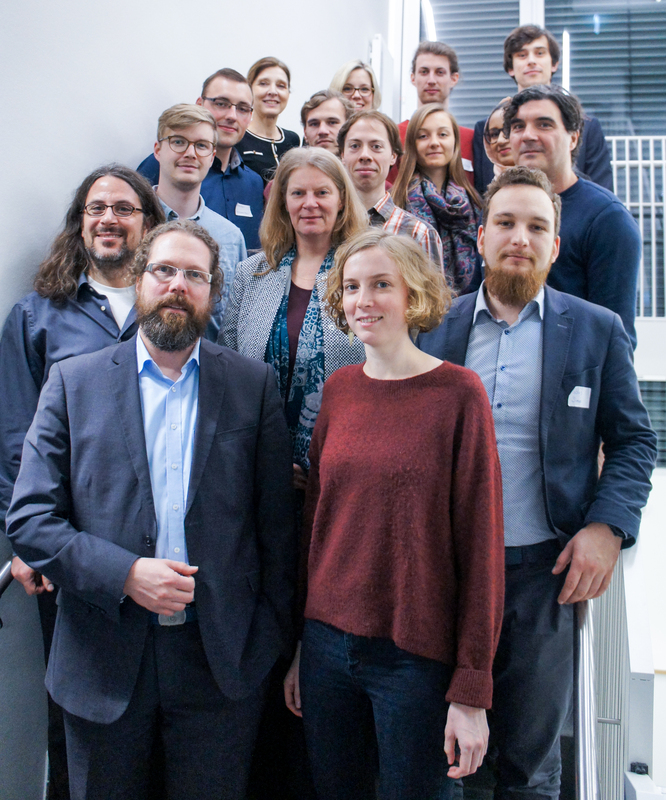 The Humanist Computer Interaction on Trial project, jointly initiated by Johannes Gutenberg University Mainz (JGU), the Mainz University of Applied Sciences, and TU Darmstadt, was launched on October 1, 2017. Financed by the Validation of the Technological and Social Innovation Potential of Academic Research ― VIP+ program of the German Federal Ministry of Education and Research to the tune of EUR 1.44 million, it has a pioneering role as one of the first humanities research projects in this funding line. The general intention of the project is to optimize interactive work processes with computers in the field of humanities that will benefit the collaboration of scholars in virtual research environments. The core objective of the project is to investigate and evaluate humanities researchers‘ working methods within virtual environments. For this purpose, 19 international research groups will be asked to apply digital tools and contents in order to assess the specific usage and progress of work in connection with virtual research environments. The project comprises three closely interlinked sections, each of them being managed by one of the participating universities. The IT section is provided by TextGrid, an open source research software for the humanities, which combines various tools for digital text analysis with an interactive platform that allows shared processing of research projects. The digital research infrastructure is supervised by the Subject Area German Studies – Computer Philology and Medieval Studies at TU Darmstadt, headed by Professor Andrea Rapp, with the collaboration of the Digital Academy of the Academy of Sciences and Literature in Mainz, headed by Professor Torsten Schrade. Research into the Variae of the 6th-century politician Cassiodorus and into Italian society under Ostrogothic rule provides the content of the project. The Ancient History division at Johannes Gutenberg University Mainz under Professor Marietta Horster is in charge of research and processing of historical data, with support of the Computational Historical Semantics project at Johann Wolfgang Goethe University Frankfurt under Professor Bernhard Jussen. The analytical section is tasked with measuring and validating the digital work processes of the research groups, employing a wide range of methods from user research, like user monitoring, interviews, and eye tracking. The evaluation of digital interactions in the humanities is directed by Sven Pagel, Professor for Business Information Systems and Media Management at the School of Business at the Mainz University of Applied Sciences.